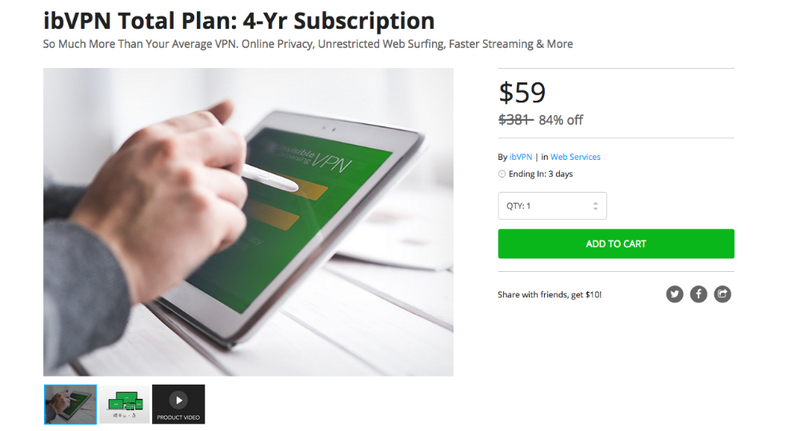 Available directly from the DL Deals Store, you can grab a 4-year subscription to ibVPN, a service that allows you to connect to one of 75+ VPN servers in 39 countries, making your browsing and streaming secure. Usually priced at nearly $400, you can get your subscription for just $59. The Total Plan package includes access to various VPN servers, the unblocking of 165+ TV and radio channels from around the world, 256-bit encrypted P2P file sharing, torrent downloads, unblocking of VOIP apps, and the ability to access blocked sites anywhere and anytime. All thanks to a VPN. If you need a VPN service for whatever it is you are doing on the web, and we promise not to judge, check out the link below. Oh, and be sure to watch the video below for additional information.